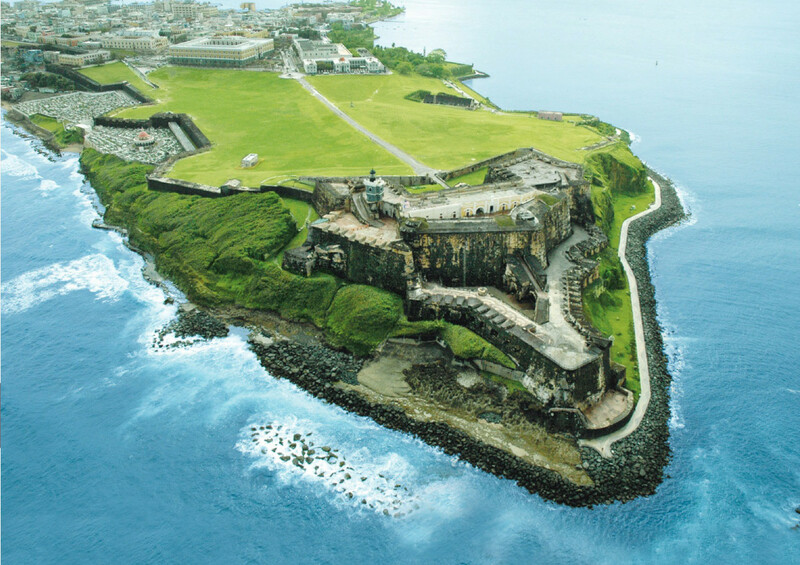 Next on our location spotlight series is Old San Juan (OSJ). With roots dating back to the early 1500's, OSJ was strategically selected by the Spanish as a military outpost due to its geographic advantages. As a result, the city’s rich history is enshrined by the imperial forts on the northwest corner of the island. Cobblestone streets, shady trees and historical landmarks are just a few ornaments that add to OSJ's charm. 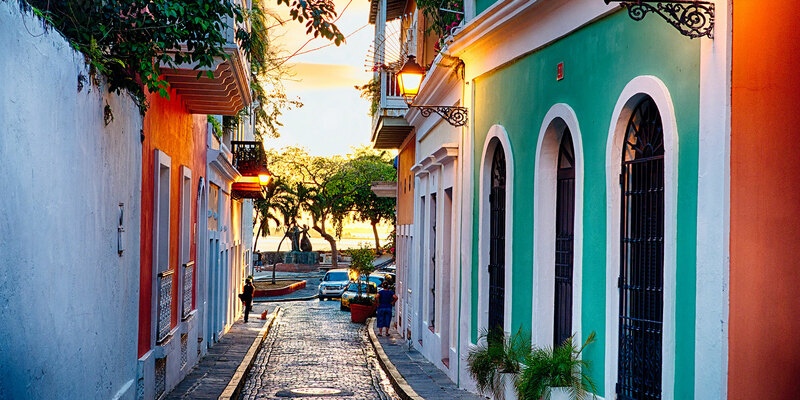 Over the years, Puerto Ricans have gone to great lengths to maintain the town’s architectural integrity while allowing the cityscape to grow and evolve. As expected, OSJ is the most popular tourist destination on the island due to its proximity to transportation hubs, and its historic sites like the Castillo San Felipe del Morro, The Gate to the City and others. The town sits on its own island, connected via bridge to its neighbors in Condado and greater San Juan. OSJ displays the best of Puerto Rican culture, and is characterized by a vibrant attitude that celebrates the arts in every medium. This weekend OSJ will host the San Sebastián Street Festival, known by the locals as San Se. Originating in the 1950’s, San Se was organized as a tribute to Saint Sebastian and offered a means to repair the church of his namesake. The Festival was revived in the 70’s with a focus on the local artisans. The streets of OSJ will fill with painters, sculptors, dancers, singers, and musicians. Performers will wear giant masks called Cabezudos as they lead parades down the cobblestone streets. It is a beautiful celebration framed by the historical architecture of the city. For Act 20/22s, OSJ affords a unique, latin city lifestyle best suited to singles or young, artistic couples. The west side of the island is the historic district, where condos are nestled above street cafes and shops. Moving east, streets become larger and wider, housing government buildings and new high rise developments. Typical listings on OSJ consist of 1-3 bedrooms ranging from $250-500,000, with the occasional mansion. Since everything is in walking distance, coupled with the Uber availability we've grown accustomed to in big cities, OSJ is one of the few communities on the island where a car is not required. If aquatic travel is your thing, a spontaneous cruise isn't out of the question. The port has recovered from Maria and is open for business. 15 major cruise lines, such as Royal Caribbean, Disney and Norwegian, travel to 20 locations in the US, Caribbean and South America.